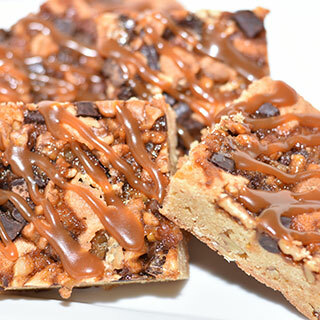 Loaded with cookies, squares and tarts. 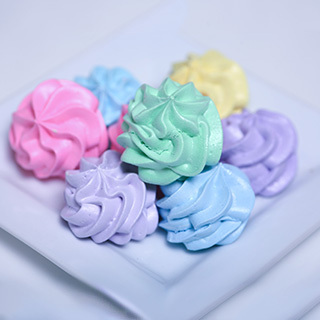 We also make larger meringue nests that you can fill with fresh fruit. 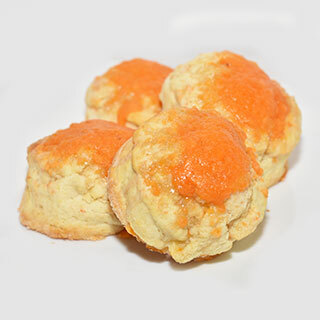 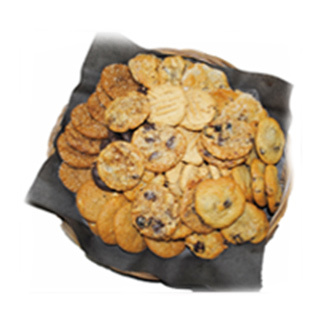 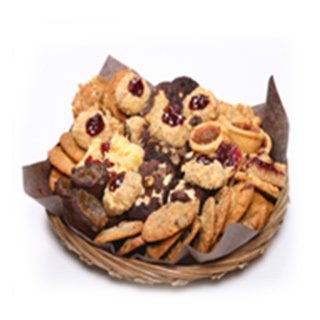 Selection of our most delicious cookies. 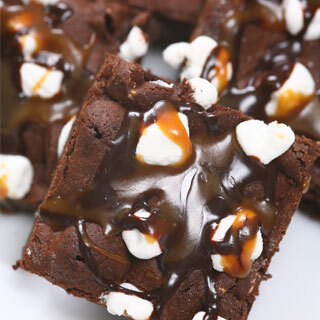 The brownie for vanilla lovers is heaped with walnuts, Belgian chocolate chunks and caramel drizzle. 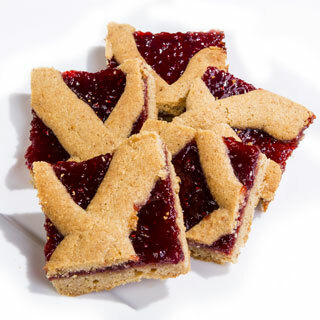 Our take on the Austrian favorite the Linzer Torte. 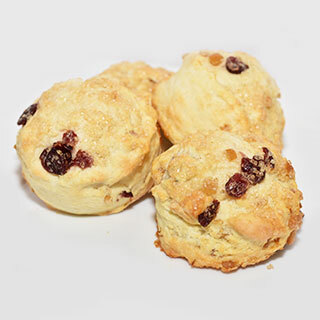 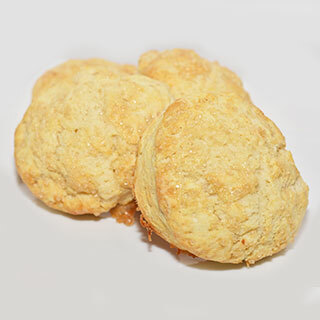 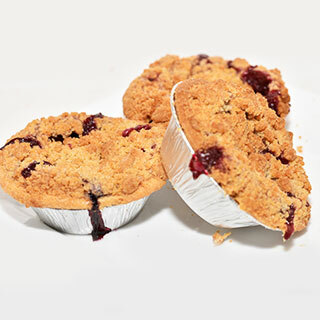 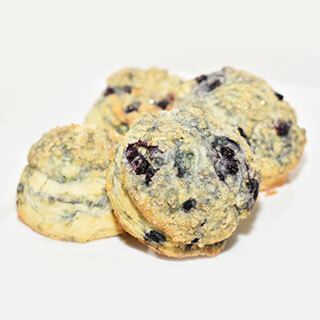 A short, crumbly pastry is filled with delicious raspberry jam. 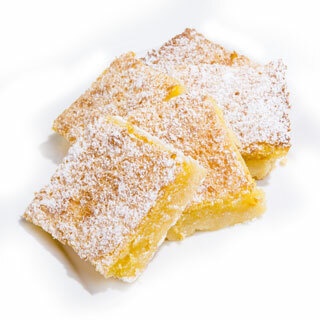 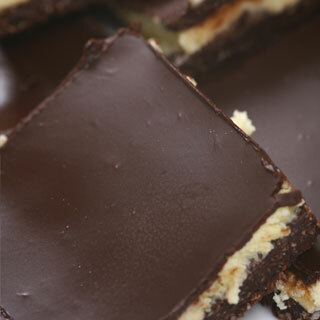 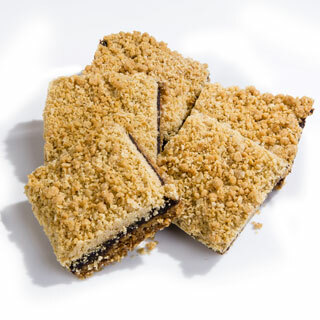 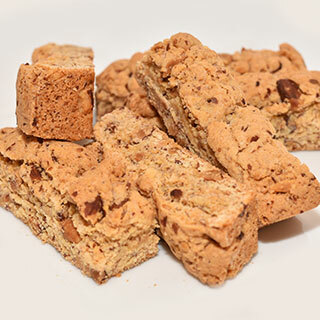 Tart, sweet and chewy, these squares deliver punch. 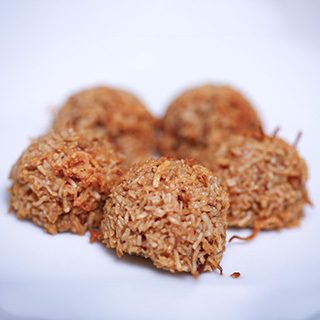 Oats and dates combine to make a perfect pair. 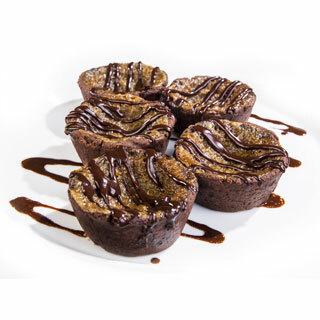 West coast classic with chocolate and graham crumb base topped with a custard butter icing and finished with melted Belgian chocolate. 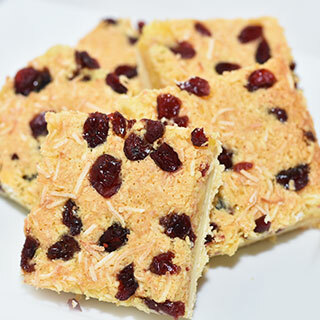 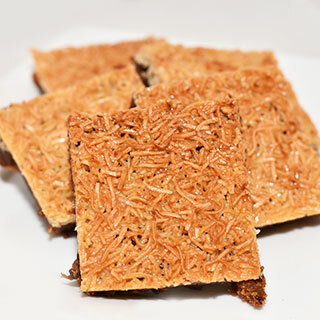 Dates, apricots, and coconut make this a delicious anytime, healthy snack. 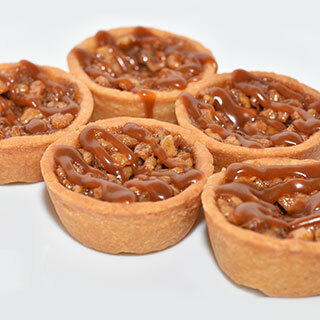 This stunner has just enough tartness to pucker the lips while still delivering all the sweet goodness you expect from a square. 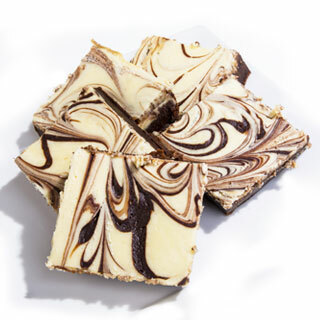 The best of both worlds—a base of fudgy brownie topped with a brilliant marble cheesecake. 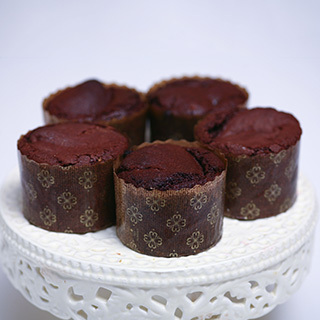 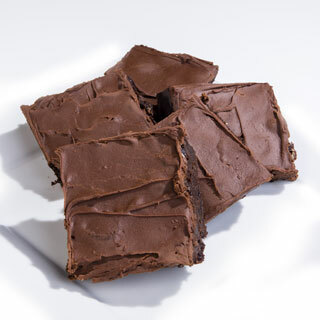 Dense brownie generously covered in a decadent chocolate fudge icing. 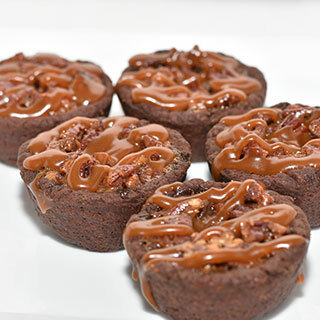 Truly one of our greatest sellers. 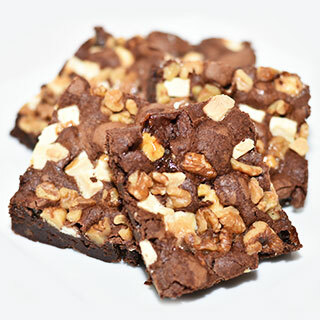 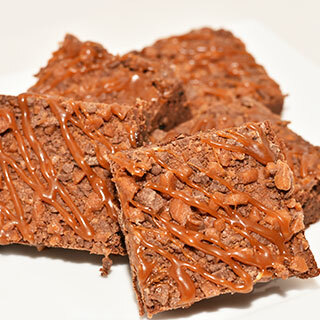 A delicious chocolate brownie covered in Skor™ candy bar bits and drizzled with caramel. 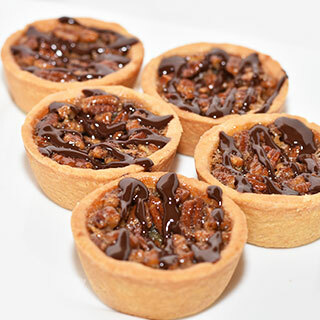 Loads of pecans and gooey filling in a butter crust, finished with chocolate ganache. 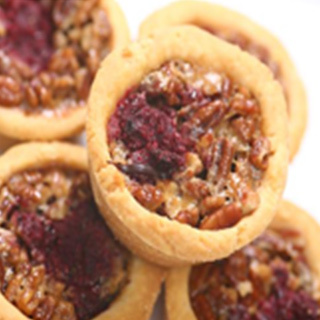 Cranberries and pecans and gooey filling in a butter crust, finished with apricot glaze. 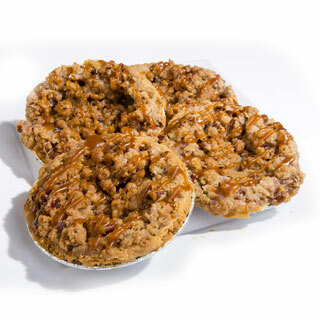 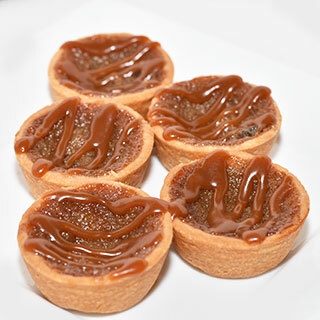 Fresh Ontario apples packed into a buttery crust, heaped with pecan crumble and drizzled with Phipps Caramel sauce. 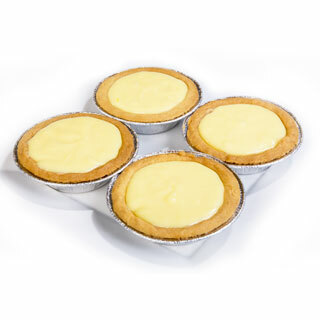 Smooth lemon in a buttery crust. 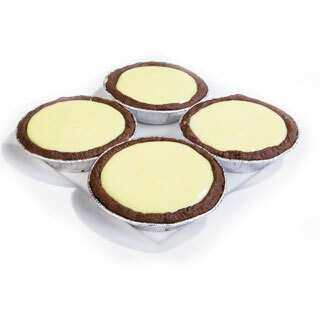 Rich key lime classic with a twist in a chocolate crust.